Humpty Dumpty (ages 4-6) - Philippine distributor of magazines, books, journals, etc. 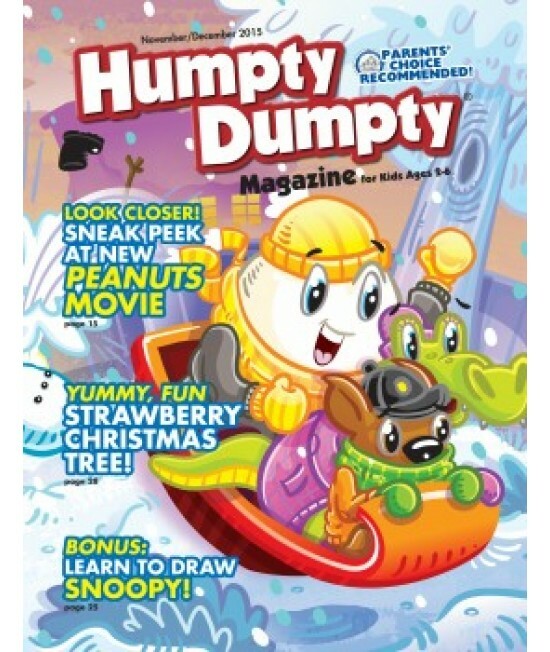 Humpty Dumpty Magazine Subscription. Humpty Dumpty Magazine is a wonderful publication for children ages 4 - 6 yrs. Humpty Dumpty is complete with games, puzzles, poems, crafts and hours of entertaining activities. A perfect gift for children ages 4 - 6 yrs. Buy Humpty Dumpty Magazine Today!